Well, I downloaded this app at the recommendation of my spin class instructor. At first it looked good and I was really hoping it would work out well. So here is what it apparently does well...once you have found the ID for the spin bike you're riding, you can select it once you have pressed the "connect to sensor" button. A list of all the nearby spin cylces with their ID numbers will show up, so you just select the ID that is on the bike's crank arm that has the power meter. Once connected it seems to stay connected okay. Once cycling, it will track your speed and power output and then will show you what % of your FTP you are actually putting out. It responds quickly for sure. 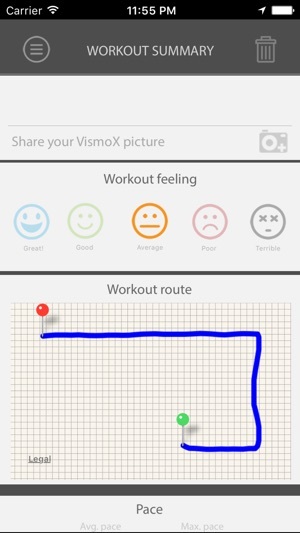 To pause or stop the workout recording you have to slide the little padlock at the lower left of the screen to your right, then select "Stop" or "Pause". What it doesn't do well...for the life of me I can't get it to connect to my Heart Rate Monitor. 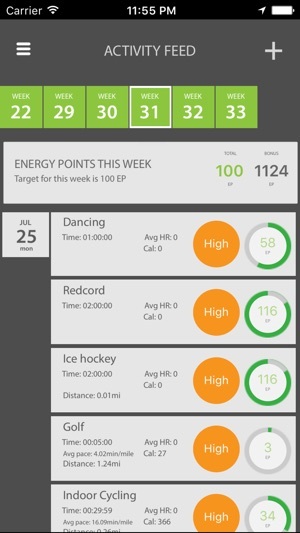 I had initially thought that the app would connect to the Stages display head unit and give me my HR, speed, etc. But it doesn't. I own a Garmin HR1G Ant+ heart rate monitor. 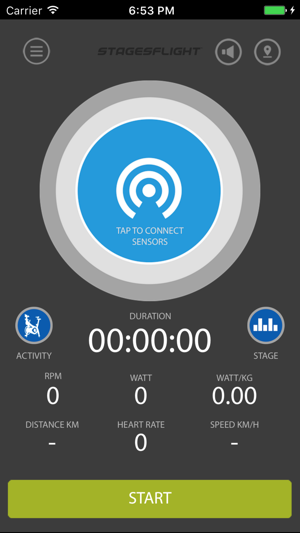 But the only option to connect in the Stages Flight setting screen is for a Polar H7 monitor or a Vismox HRM...I really don't want to buy another HRM just to use this app! Booking a bike is great. I like that it gives a read out after class under activities however it doesn’t give any real information. I would like to know what my ftp was for the class, my average watts, my average speed, and my average rpms. It does show how many total calories burned but I am sure there is more info that can be presented about health. Also a read out in graph for to show how everything looked through out the class. Great program all together and I am really happy my gym purchased the whole thing but this app could really use some work... very basic and not enough info to base training off of. I still am taking a picture of my bike screen after class and recording it on a spread sheet. Please update!!!!! I love using the app while in the Spin Class. I can see exactly what I’m doing and there is lots of good data. It says it can download to Strava, but nothing actually loads, everything is all zeros. There is a disconnect between the data that is provided to the app vs. what is loaded to the website. 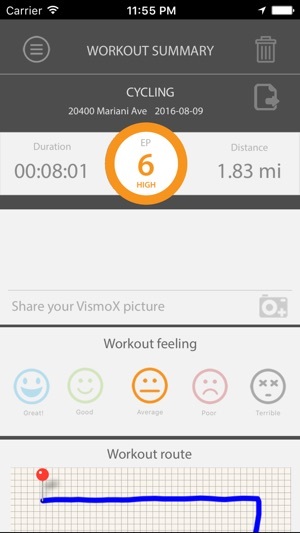 The website doesn’t show the actual interval data while the app only sometimes shows it but doesn’t show total miles for the ride. If you could mesh the data from both areas it would really be a powerful tool to measure one’s progress. It’s a good app, just needs some additional tweaking to make even better.